DISCOUNT Dothraki at your peril. That was the message coming from trainer Peter Snowden as he prepares the eight-year-old for battle in the Group 2 Expressway Stakes over 1200m at Rosehill on Saturday. 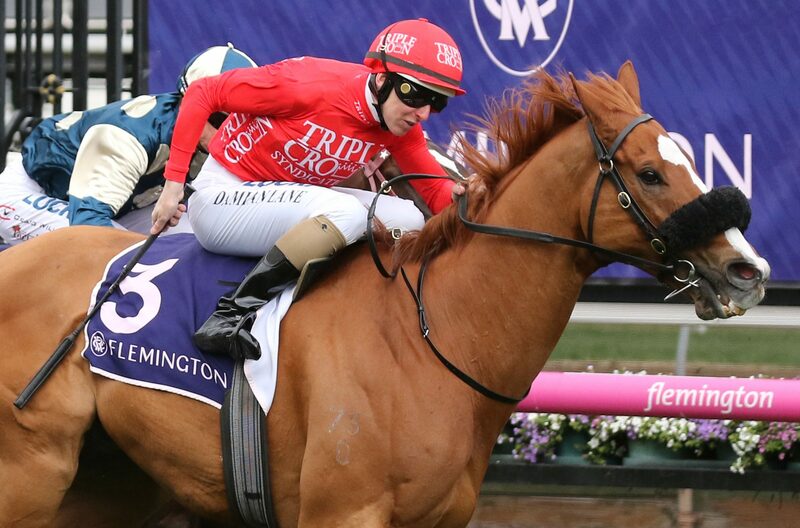 Although a small field, it is not devoid of quality, with Everest second Trapeze Artist leading six acceptors for the race, which also include Group 1 winners Le Romain, Hartnell and Alizee. Yet Snowden is confident Dothraki can more than serve it up to his decorated rivals. “It’s not a big field and you might say these horses are a class above him,” says Snowden. “But he’s got fitness on his side and that’s a big thing. A lot of these are first-up or had one run and a wet track will certainly help his chances. “In these small fields you get a surprise and stranger things have happened. He’s in good order and is fresh and well and whenever he’s like that he always runs a good race. I know he’s meeting some nice horses tomorrow, but he doesn’t know that, I haven’t let him read the paper all week, so we’re there to give it a good crack. Dothraki comes in off the back of a solid run at the Magic Millions where he finished third in the sprint event, and has been in career best form over the last 6 months, as he looks to add to his $1.5 million in prizemoney.